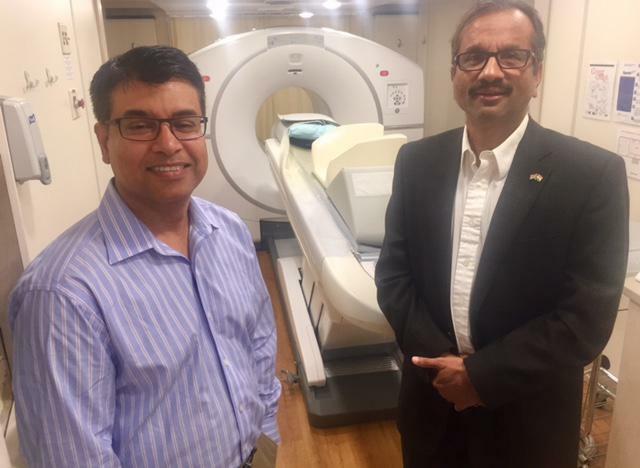 Fort Jesse Imaging Medical Director Vaveed Yousuf and PET Services Medical Director Ajay Malpani stand in front of of the new mobile PET scanner that will dock at the imaging center every Tuesday. The scanner will be used to test for Alzheimer's disease. Alzheimer's is a disease that is showing up earlier in a growing percentage of Americans. 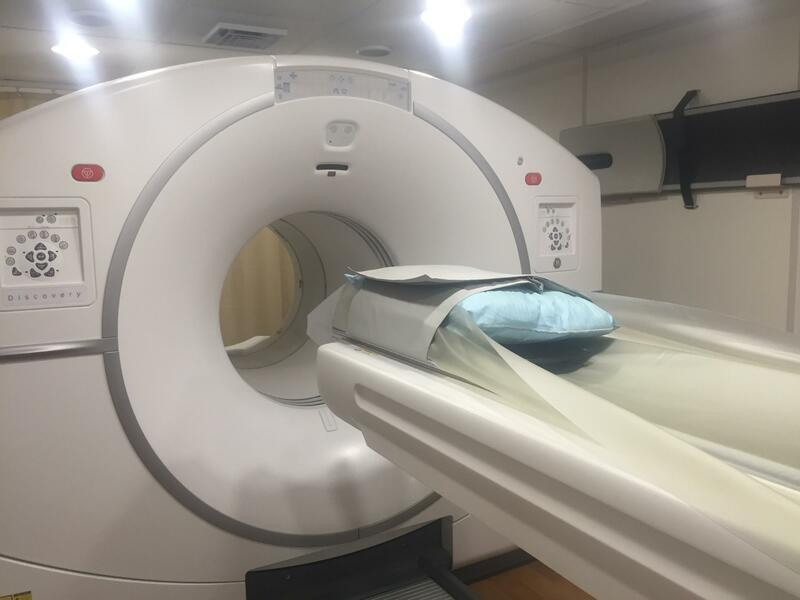 A new mobile PET scanner at Fort Jesse Imaging Center will be available every Tuesday and will be used by neurologists to detect an amyloid protein in the brain that is an indicator of Alzheimer's disease. 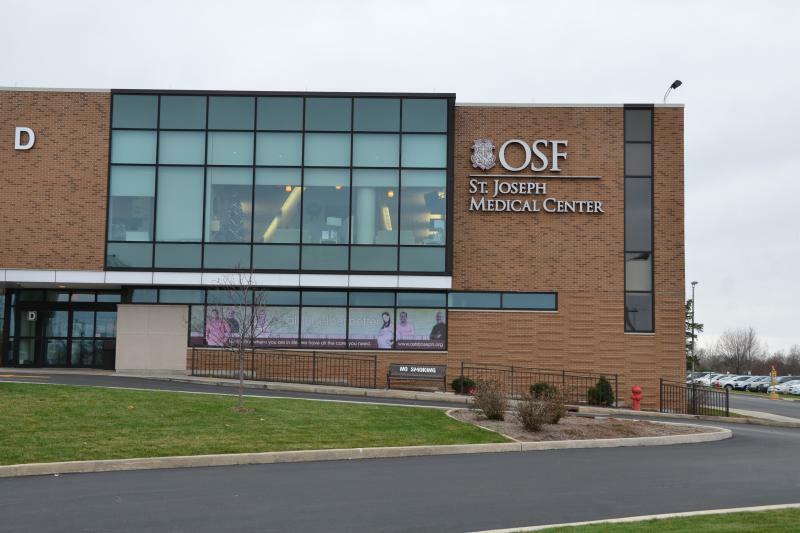 Dr. Naveed Yousuf, neuroradiologist and medical director of Fort Jesse Imaging, said this could be a game-changer in helping patients get a definitive diagnosis. "This test is actually, literally picking the molecule of the protein in the brain which is associated with Alzheimer's disease which is the most direct test to diagnose Alzheimer's-dementia at an early stage." He says MRI and CT scans have been used in the past but they are only good at ruling out other causes for memory loss and other cognitive problems. Yousuf points out early detection is important, even if there is no cure for Alzheimer's. "You can not only treat the symptoms and improve the quality of life of the individual, you can also, in a lot of cases, slow the progression of the disease," he said. The scanner, owned by Alliance HealthCare Services, is contracted for use by several health care agencies. It travels the state, according to Fort Jesse Medical Director for PET Services Ajay Malpani. "Today it is in Bloomington and tomorrow it will be in Alton, Illinois," he said. "That is how we are able to have this technology because it is shared among several communities." The scanner is estimated to cost about $3 million, according to Malpani. The PET scanner can detect amyloid proteins in the brain which are an indicator of Alzheimer's disease. Fort Jesse Imaging is also one of the certified sites for a Medicare-Alzheimer's Association study called "IDEAS" or "Imaging Dementia-Evidence for Amyloid Scanning." Patients who meet certain criteria can be referred by doctors certified to participate for screening using the PET scanner to look for evidence of the protein that can inhibit neurotransmitters in the brain. "Once these proteins start accumulating, the functioning of the neurons is affected and they start dying literally. So what happens is the brain starts shrinking and certain parts of the brain are affected more than others," said Yousuf. "For example, hippocampus which is the site for short-term memory, is affected earlier so the earliest symptoms are often people forgetting simple things like, 'Where did I put my keys?'" What's Next and How Soon? Yousuf says there have more advancements in Alzheimer's detection with more attention following the death of President Ronald Reagan and the aging baby boomers. He says there are other promising diagnostic approaches such as eye scans for retina with the amyloid protein, and there's some promising stem cell research in mice that could lead eventually to treatments. But so far, the only FDA approved drugs treat symptoms. Malpani thinks efforts to more quickly detect Alzheimer's disease will rapidly accelerate once there is an effective treatment. "Obviously the silver bullet is treatment. That's where the diagnosis is getting held back because what do you do if you know about it." He added, "I'm sure if tomorrow we have promising treatments we'll have a lot more patients who will probably come forward because now something can be some about it and it becomes more imperative to have an early diagnosis." 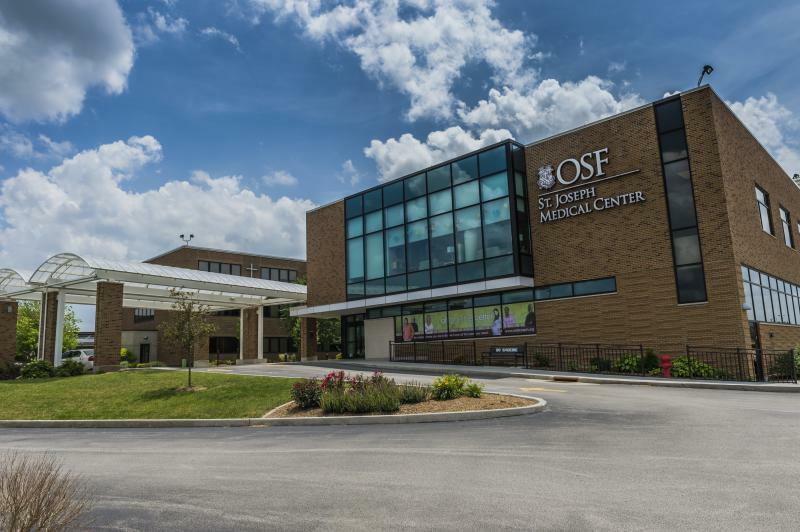 GLT's full story from Fort Jesse Imaging Center. You don't normally expect to hear the words cancer and gift in the same sentence. But that is how Marcia O'Donnell, a Community Cancer Center patient, describes her life since her diagnosis of advanced breast cancer. O'Donnell is a former mental health professional and mother of two small children. She credits her positive outlook, in part, to being able to share her questions, fears and sometimes overwhelming emotions with Cancer Center chaplain Cheryl-Peterson Karlan. Initially, though O'Donnell didn't even want to meet with the chaplain.